SHOCKING, is the word that best describes my new series of fishing cartoons, "When fishermen go bad." They don't call this blog "BaitRageous for nothing. Sooooo, you will be seeing a few of these cartoons in my up coming posts. Just like fish, fishermen can go bad, too. Enjoy! Hmmm... wonder where Bob purchased his new waders? I bet he'll be the hit of the fishing camp when his buddy's see this. Bob has certainly gone bad! Eco Waders, the only leak proof waders! Getcha some, "Eco Waders", less is best! 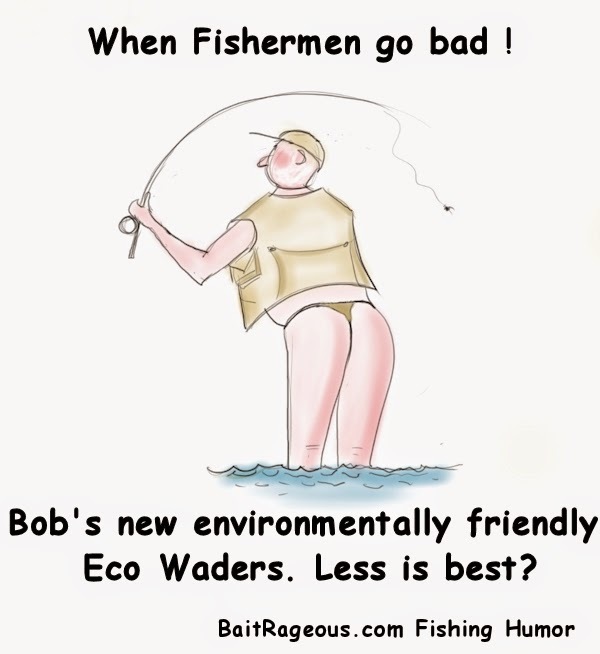 Eco Waders, just a thongs throw away! Thong it, with Eco Wade! Eco waders come in two colors, All Natural and Native. Fish like a native, Eco Wade! When I fish, I fish in Eco Waders! What's better than those big, bulky waders, Eco Waders! Eco Wade, size does matter! 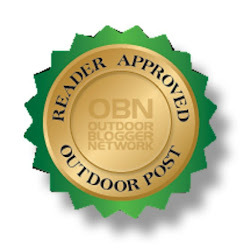 What people are saying about "Eco Waders", the best waders, leak proof waders, award winning waders, five star waders, and the perfect wader. He, he, he, hope you got a good laugh. You know, I don't think you'll ever see Eco Waders in your nearest bait shop anytime soon, but if you do, run like the wind!